A house is made of all the structural parts of a building – the floors, the roof, the doors, the windows and the walls. Walls are vital to holding a building up and separating the rooms according to their function. Walls can be of all sizes, tall or short. plain or fancy, connected or independent. They simply have to do their job to be called walls of a house. Walls of a home are something else entirely. Granted, they have their function and hold up the ceilings, but they are so much more. Used properly, they can add life and beauty to each room and therefore to the family that lives in the rooms. I believe in decorating walls with meaningful colors and art. Each wall should be its own little vignette of the love and history of the family. I’d love to show all you Sweeties how I have translated my feelings for family and heritage onto my walls. Welcome to my entryway. It is full of my favorite colors, blue and white and some of my favorite things. In my world there can’t be enough blue and white!!!! Many of these plates remind me of trips taken and vacations enjoyed. Next is the dining room with a wall of china which I have mostly inherited. Isn’t it grand and imposing? All of these dishes are dear to me and precious for different reasons. Some of these pieces are almost 100 years old and could never be replaced. Another wall of the dining room is covered with a very old mirror from my aunt and pieces of needlework from several people in my family. It is unique, to say the least! The large crocheted collar was a special Christmas gift from my daughter when she was in collage. I also have a collection of thimbles in the dining room. (Can you tell I do not like bare walls?) Many of these have been given to me as gifts over the years by friends and family. And they are very easy to carry as souvenirs. Some of my favorites are, of course, the blue and white ones. The living room has only this sweet little corner of a wall. It holds a piece of needlework done by a friend who has since died and a piece done by me. There is a poem given to me by my oldest friend (known her since 6th grade) and a saying I dearly love about family. By the back door I have Welsh love spoons and cross stitch that changes with each month. I love old granite ware and have it in every corner of the kitchen and breakfast area. Some of these pieces are from my husband’s aunt. Even the laundry room is filled with old granite ware. Most of these pieces and the enamel sign came from my husband’s aunt. More of the laundry room. The guest bathroom is very vintage style, so the walls are covered with everything old I could find. Including rug beaters and slates. Some old graters and a wire basket for towel storage. In the master bedroom, next to the blue and white quilt is the wall of more thimbles and two white dresses with white threadwork. A closeup of the beautiful dress and the wonderful handwork. Even the walls of my sewing room have been decorated. No wall should be bare in my world! The wreath is made of sewing notions from my grandmother. And my collection of laces are wound on old commercial spools. My thread is kept in an old type drawer. I love reusing old things in a new way. So don’t let your walls be unused. Tell your story. Decorate the vertical spaces of your home. Use all the parts of your unique home to show your love of family, friends, hospitality. What to do with all those lovely Christmas cards! Too pretty to toss, too meaningful not to keep and too cumbersome to just collect over the years. I have a solution that I have used for many years. I make gift tags from the cards. It is easy and very eco-friendly . . . as in recycling. This year I made more than 180 tags from about 45 cards (that’s two years worth). Any cards can be used . . . Birthday, Easter, Thank You, etc. I have a set of templates that I use, but you can use any shape you like, such as cookie cutters, or coloring book pages. I just like these because they look like luggage tags and don’t have any curves to cut. I pick a card and lay the templates on. Simple as that! Having different sizes helps to get every inch of the design of the card used. Then just cut them out. Be mindful of where you will punch a hole or where you will write a name. Sometimes that makes a difference. Always look on the back of the card. Sometimes there are little gems there. (Sorry about the flash. I’m slowly getting this photography thing down!). And don’t worry about everything being square and even. And the center of the same card. These are all the gift tags I cut from the one card. Amazing isn’t it? They are all unique and all beautiful. If you want, you can always punch attachment holes in the tags or just tape them on the packages. Here are more samples of tags from my Christmas cards. They are all ready for next year’s packages and gifts. What could be more personal and say Merry Christmas better than this? Here we are! It’s after Christmas . . . we made it . . . we are alive and well! Wasn’t it grand? I hope yours was as memorable as ours. Gramps and I have been recollecting the holiday events, remembering the jokes, rehashing the conversations, reminiscing the family gatherings and generally reliving the last 4-5 days. It makes them seem to last far longer. And really, aren’t the memories what it’s all about anyway? Santa was so good to us this year. We got more than we deserved . . . because if we got what we deserved, it would probably always be more coal that candy. First, Granny received a new toaster oven from Gramps. Our old toaster (a wedding gift, making it 43 . . .yes, 43 years old!) finally died. Thank you, Sweetie! Next, Christmas day brought lots of hugs and kisses from little boys. Love those!. Also many laughs, giggles plus yells, screams, hiyahs, booms, bangs, yahoos, yipees, and wahoos. Did I mention 2 6yos and a 3yo for a whole day! The tree was overflowing with presents for young and old but mostly for young. The oldsters had more fun watching the youngsters play with their toys than playing with their own. As it should be! The house looked great (see previous blog) and smelled pretty good too. A turkey was baking in the oven, pies cooling on the counter and gravy simmering on the stove. The table set and all were in their places at Granny’s big dining table. The meal was a success in every sense. We all ate, laughed, shared and ate some more. Whew! I’m still stuffed! When all was said and done, it was a perfect day! 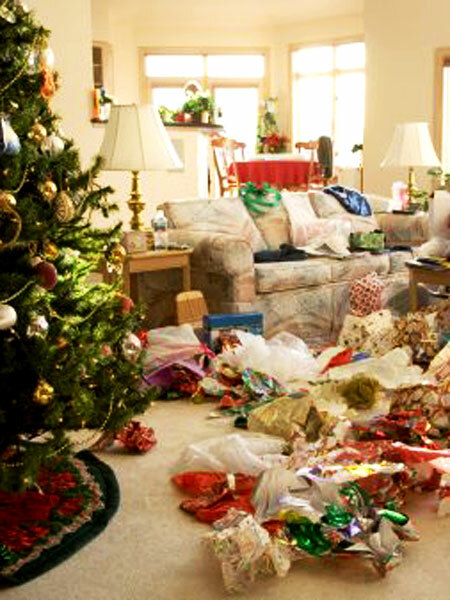 No, not that kind of perfect . . . . we did make a mess, a glass of milk was spilled at the table, several children cried periodically, discipline was administered, statements were misunderstood, an ornament was broken and Granny was absolutely exhausted. But the Spirit of Christmas was among us and all our wishes came true. We were together with the ones we love. We enjoyed good music, good food, good humor, good hospitality. We exchanged thoughtful and creative gifts. We shared good times, good thoughts, good wishes. AND THERE WAS PEACE THROUGHOUT THE HOUSE. AMEN. Love to all of you, my Sweeties, from a happy, fat, exhausted Granny! What Will The Grandchildren Say? I read an interesting question the other day at TheDailyPost. “What do you hope your children will say about you when they are grown?” Well, my children are already grown, so I got to thinking in terms of grandchildren. 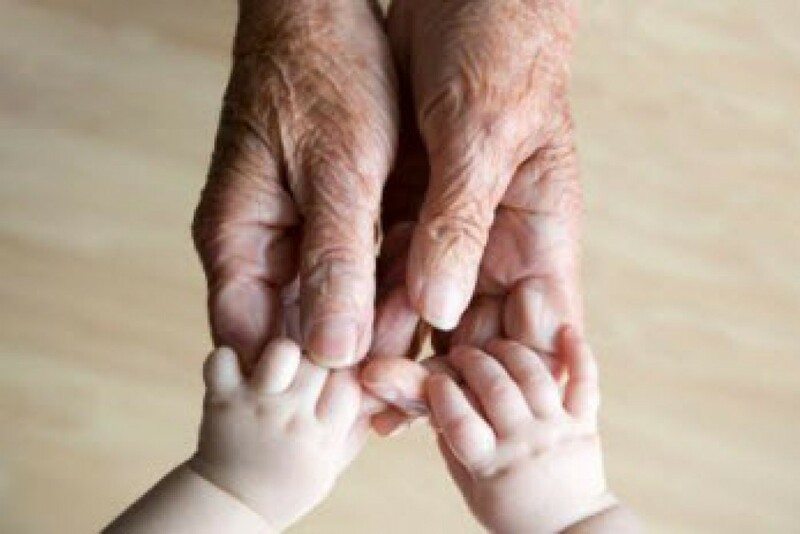 What do I hope my grandchildren will say about me? Of course, I hope they say I’m perfect, but now that I hear that word”perfect,” it sounds a bit boring. I came up with the following ten things I hope my grandchildren say about me when they are grown. 1 – My Granny loved me more than anything. 2 – My Granny told me she loved me every chance she had. 3 – My Granny showed me she loved me every way possible, sometimes to my embarrassment. But I wouldn’t change a thing. 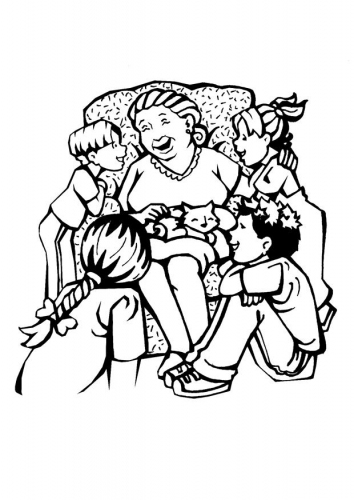 4 – My Granny had a great laugh that made everyone around her join in the laughter. 5 – My Granny had the best sense of humor and could always make me laugh. 6 – My Granny could celebrate any holiday or occasion better than anyone. 7 – My Granny loved to give presents. 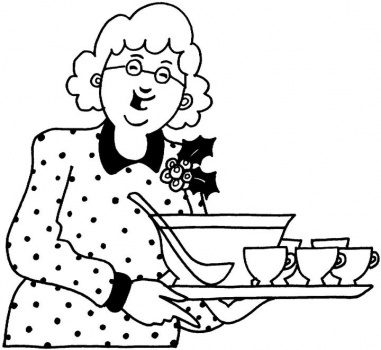 8 – My Granny loved to feed people, especially loved ones at her big dining room table. 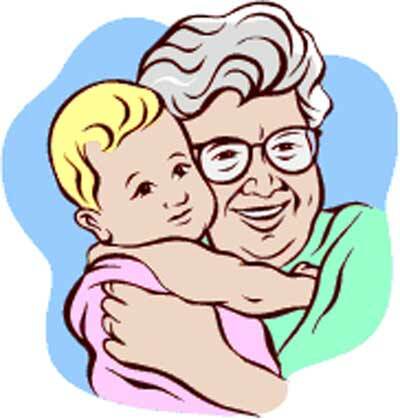 9 – My Granny loved to hug everybody and call them Sweetie. 10 – My Granny made me feel special.